We are delighted to confirm we will be starting our first 6 week block of Prenatal Pilates and Mummy & Baby Classes Lucan. If you or a friend are expecting in the New Year or if you have had a baby recently, now is the time to sign up, 6 week blocks will role every 6 weeks. Our postnatal Mummy and Baby Classes (Monday’s 10:45am – 11:45am) will be a great way for new mums to bond with their babies, in a warm safe environment. This time will also give mum a chance to recover from the child birth and start to get back into exercise in a controlled manner. Classes are open to mums after their 6 or 10 week check up. 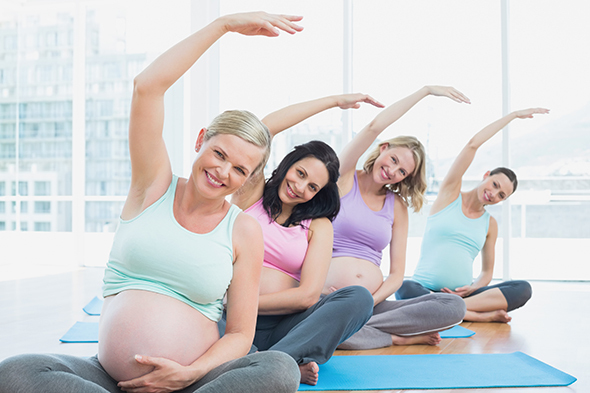 Our Prenatal Pilates (8pm Monday) classes will be one of the safest and most effective methods of exercise and relaxation for women who are pregnant. If you are new to Pilates you can start pregnancy classes any time from about your 2nd or 3rd trimester. It is not too late if you are 34 weeks, any Pilates is better than no Pilates…..
– Core control will help to support, stabilise the back and pelvis.